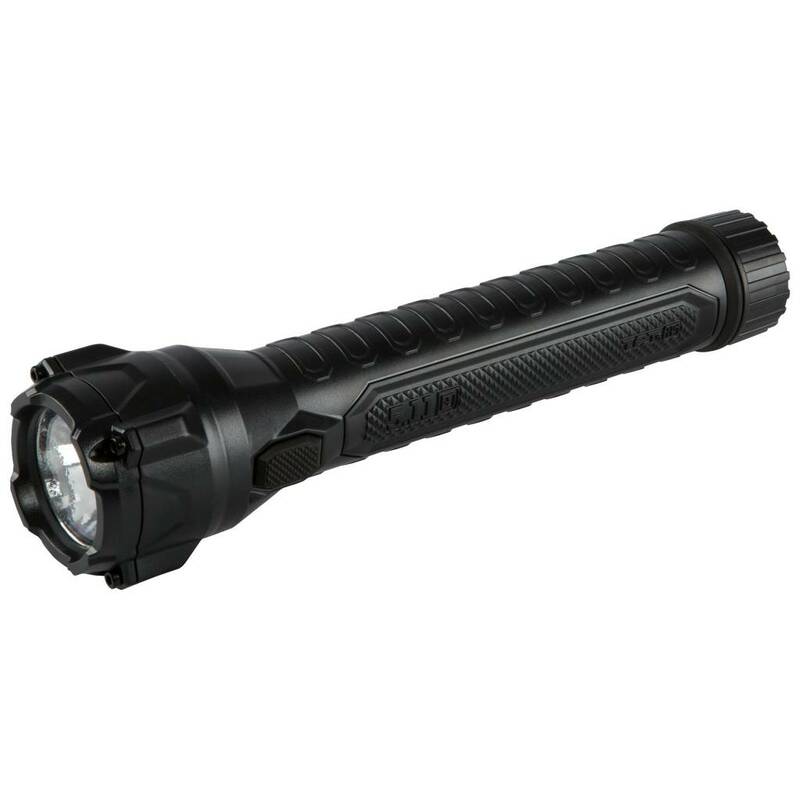 A bright, powerful, and lightweight full-sized duty flashlight that excels in any environment, the TPT® R5 14 is a rechargeable duty torch built from ruggedized PC/ABS polymer composite, and features a squared head design to prevent rolling. The intelligent smart switch allows silent toggle between three light modes – high, low, or strobe – and a power-smart Cree® XM-GB LED light source casts a bright 301 ANSI FL1 lumens of light in a smooth tactical beam. The R5 ships with a full service power kit that includes a charging cradle, AC and DC connectors, a rechargeable NiMH battery pack, and a backup pack of six (6) AAA batteries.